Our events and meetings are open to all, please come along and join us. These are held in Market Rasen Library in Mill Road and start at 7.30 pm, unless otherwise stated. Guests are always welcome, but a small donation of £3 is requested for all meetings except our General ones. The latest News is on the Home page. Listed below is the recent news that appeared initially on the home page. 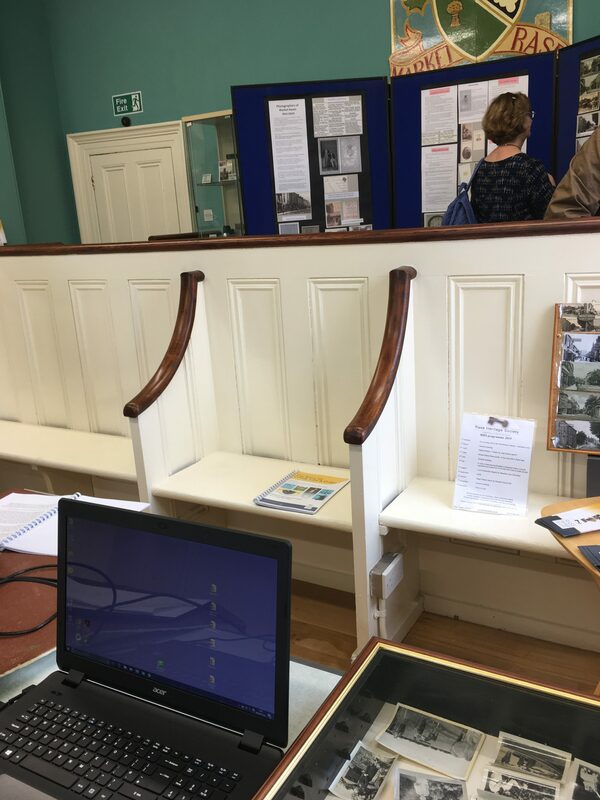 Market Rasen Old Police Station and Magistrates Court was open on Saturday 8th and Sunday 9th September. Rase Heritage Society and West Wolds U3A collaborated to provide a pictorial look at the town today and yesterday. With the support of the Town Council. There were several photographic slide shows of old photographs, visitors were able to help with identifying some of the people and events. Local artist Brian Oxborrow painted a heritage photo booth for the event. The information on Photographers of Market Rasen 1850-1950 can be view by following the links The People – Tradespeople of Market Rasen – Photographers. Rase Heritage Society were Co-Op Community Champions in the Autumn of 2017. The Trustees and members of the Society would like to thank all the Co-Op members for supporting them. The money raised will be used to produce an Exhibition on WW1 for Peace Day event in 2019. More details in 2019. 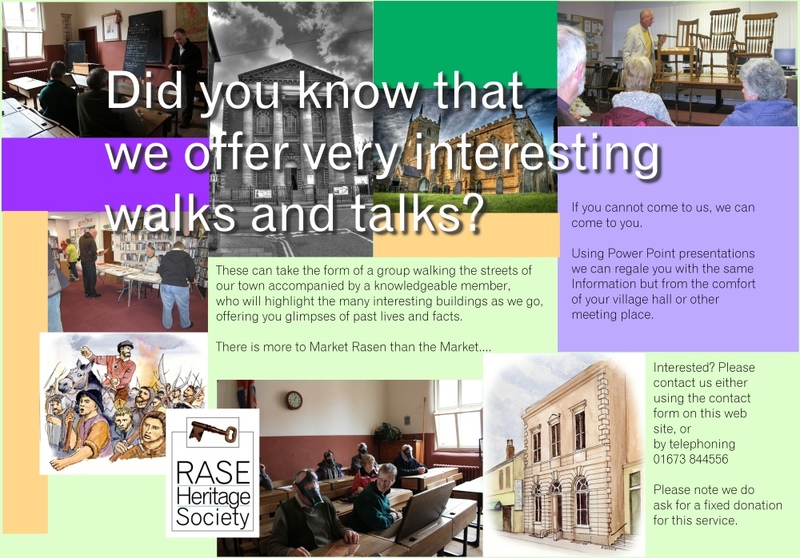 Rase Heritage Society members would like to thank the Market Rasen shoppers who voted for them in Tesco Bags for Help. The money will be used to update the Society’s IT equipment. RHS Exhibition on WW1 1918 was displayed in Library and Rasen Hub, during November . Rase Heritage Society researched the men, from Market Rasen and surrounding villages, who died in 1918. 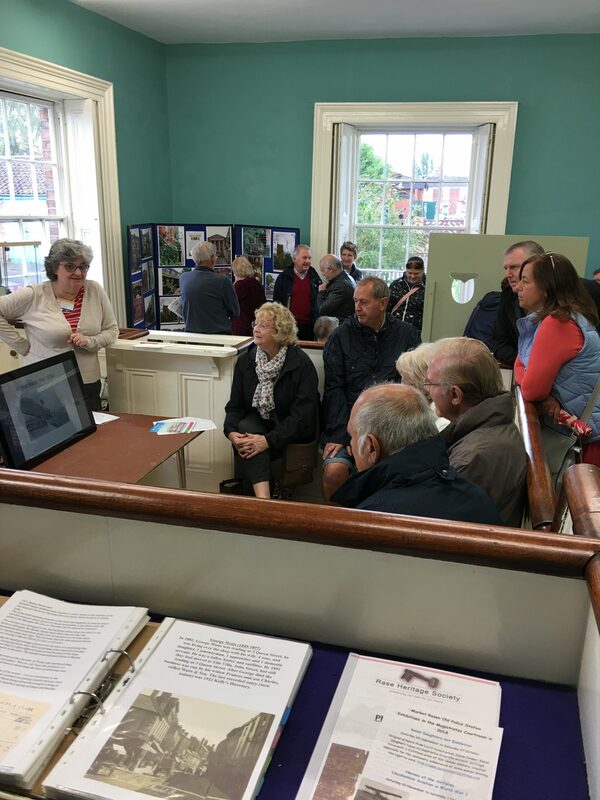 This research located the pictures and stories in order to produce the exhibition that was on display in the Market Rasen Library, giving a brief history of the men’s life and service, and life in Market Rasen during 1918. Also in the Hub, there was window display on the Airmen of Rasen.